We wrote yesterday about how Arcane Vault teased us that we would be seeing examples of how our ideas of new Vampire Academy merchandise will be implemented. So which idea did they choose to begin work on? 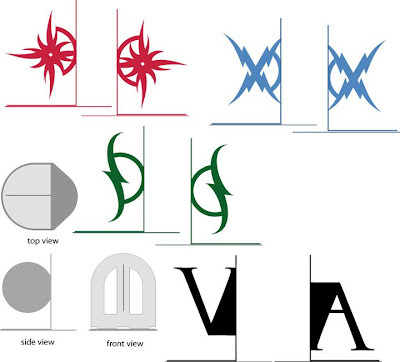 Well, just now, Arcane Vault posted to their Facebook page, pictures of the concept design for VA bookends! Please keep in mind that these are very preliminary; designs may change and colors definitely will change. - Bookends will be made of powder coated stainless steel - Expected retail price will be between $45.00 and $60.00 per set. - Expected to be available to retail in late Summer 2011. 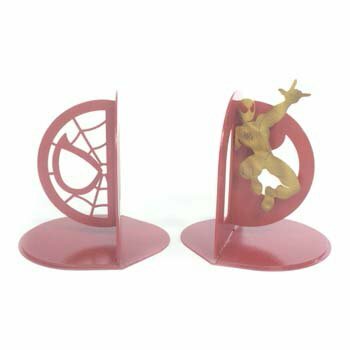 For a better idea of what these will look like when finished please check out the Spider Man bookends also pictured in this album. You can find them, and give your comments on the VA bookends, in the Bookends album on Arcane Vault's Facebook page. As for the price, please keep in mind that these age going to pretty big (standing between 8"-11") and they will be very heavy duty to the fact that they are going to be made of stainless steel. What do you think? Are you going to buy these the minute they come out? Which do you like the best? Make sure to let Arcane Vault know which colors etc you prefer; you know they're always keen to hear to our opinions. :-) And ask them any questions you might have - they're really good with answering our querys as well. I really like the promise mark ones. Could definitely back Arcane Vault on making bookends.